The success of your preparedness endeavors is going to depend on how dedicated you are to following the organizational framework and procedures that you put in place. 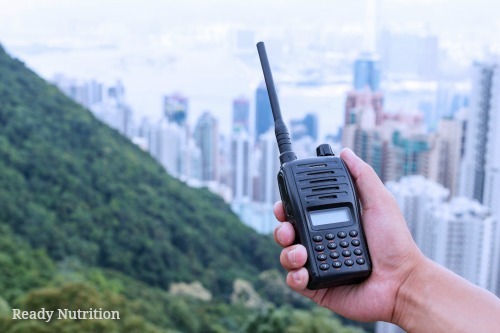 ReadyNutrition Readers, this piece is designed to give to you some methods that work that will make your daily travel more secure. To and from work, school, or running errands, it is important for you and your family to know where each one is, what you’re doing, and when you’re due back home. Rest assured, it is designed to give you a format so that you can look out for one another on a daily basis or when the world takes a nosedive. By performing these steps on a daily basis, you will be practicing for an emergency, whether temporary or apocalyptic in nature. I’m not advising you to do anything that I do not have in place. It does take for granted that you and your family members get along, or even if you do not, that you care for one another enough to set aside your differences when it all goes down. Should that not be the case, this is something you will need to address on your own and it runs beyond the scope of this article. So, what does this mean? From a practical perspective, keep in mind that my wife and I live in Montana, which is different in terms of geography and climate from many areas. You must take these suggestions and tailor them to fit your locale. In Montana, especially during the winter time, if you do not take certain precautions just driving to and from work (when you’re out in the boonies, as we are) and the vehicle breaks down? You can die. Cell phones (if you use them, and we do not) have a limited range, and can prove unreliable in a catastrophe. Regarding vehicles, Triple-A will not go out when a snowstorm is dumping 2 feet on you. The temperatures here can go from 32 degrees Fahrenheit to below zero in no time. Take it seriously if your loved one is late checking in. First things first. When my wife goes off to work, and I’m home, I have her call me when she gets in. We know the exact time that it takes for her or me to cover the distance. If she’s late, I give it ½ hour, and then I call. If she hasn’t arrived, I suit up and prep my vehicle, and give it another ½ hour. I then call again, and if she’s not there, I’m on the road at about 10 mph, all the way in, scanning both sides of the road for her. Have multiple forms of communication on hand. We also have radios, and even with interrupted line of sight, they have a range of about 50 miles. I have recommended the Yaesu models in previous articles, as they can be used either as a ham radio or as a long-range handheld during emergencies. Yes, in an EMP (to address the observant concerns), the radios would be paperweights. JJ, however, has two sets: one for use, and the other set in Faraday cages. We’ll see what happens, but it follows my personal EMP posture: you need two of each electronic item, and one has to go into a cage. You can use Motorola’s and CB radios, but the range is limited due to line-of-sight limitations. If you all live together, a good base radio for the house is worth its weight in gold. Be ready to bug out on the fly. We have all covered enough info on “go” bags/Bug-Out bags (I call them “A” bags) to know there must be one in each vehicle with the basics: food, ammo, fire-starting equipment and materials, spare clothing, first-aid supplies, flashlight, a good knife, and a weapon of some kind. This is a good list to go by. During the winter, we each have a military issue extreme cold weather bag with Gore-Tex cover packed away in a compression bag and then an Army-issue wet weather bag. For signaling, I highly recommend several road flares for the vehicle. They also make excellent fire starting devices when needed. Supplement these with light sticks powered by batteries. Obtain the ones that do multiple colors. We’ll get to the reason shortly. Supplement the light sticks with cyalume sticks/chem-lights to give you an edge if the batteries die. For wintertime: stainless steel water bottles are the way to go, supplemented with an empty one-quart canteen and an Army issue canteen cup with “elephant ear” handles that fold in on itself. The stainless steel bottles fill up ¾ of the way to allow for expansion if it freezes. Then just place it over or near a fire, and the ice will melt to give you drinking water. With the canteen cup, you can melt snow or ice to pack it in the one-quart for immediate use…not long-term, or it’ll freeze. Keep your immediate needs in mind. When it’s really cold here (-10 to -20 degrees Fahrenheit) we go out with Aladdin thermos bottles filled with hot water. We wrap ‘em up in thick quilted towels and blankets and stick them in cardboard boxes filled with shredded newspaper that can double as fire starting material if need be. The towels and newspaper further insulate the thermoses. You’d be amazed at how good it is to have hot water if you need it immediately. Another “goodie” are packets of food in thick Mylar that are ready to eat, or MRE’s if you do prefer them. You can stuff these inside of your shirt and partially warm them up with your body heat, then crack them open and eat as you need them. When Mrs. Johnson comes home, I’m there waiting to meet her, suited up and ready to hit the road if need be. She calls me when she leaves work, and once again, we know the distance and time. If the weather is pretty rough, the radios are on the whole way, and she gives me a position every couple of minutes, as well as a situation report…weather, traffic, obstacles. When she makes her final approach, I use the light stick, as I ask her on the radio what color she sees and she tells me. This lets her know that it’s me, and lets me know those headlights I see are hers. We also have prearranged signals in the event there is trouble. Use your imagination and find what works best for you and your family. There are just the two of us, so it’s a bit easier. When there are many family members, it can become tough to juggle. Bottom line: it’s all going to depend on how important it is to you. Let’s summarize some of our main points and review. Coordinate your movements: Who is leaving, and when, for what distance, to arrive when? Who is monitoring the travel and meeting them? Quick Response: When the family member runs into trouble, someone has to go out and get them. Doing these simple things can help with your team-building skills as a family, and teach you how to coordinate such movements together. It is a matter of individual and team discipline, and its success is going to depend on how dedicated you are to following the organizational framework and procedures that you put in place. Get in some good practice now, while the time is right. You will find that all of these things fall into place naturally when a true emergency surfaces. This type of planning is just as important as garnering supplies, and it is a skill that requires practice, as it can become perishable when not used. Keep up the good work, and help one another day by day. That’s what it’s all about. JJ out!